When distinctive stonework is essential to your home or project, Hillsgrove can make it a reality with commitment that matches your own. 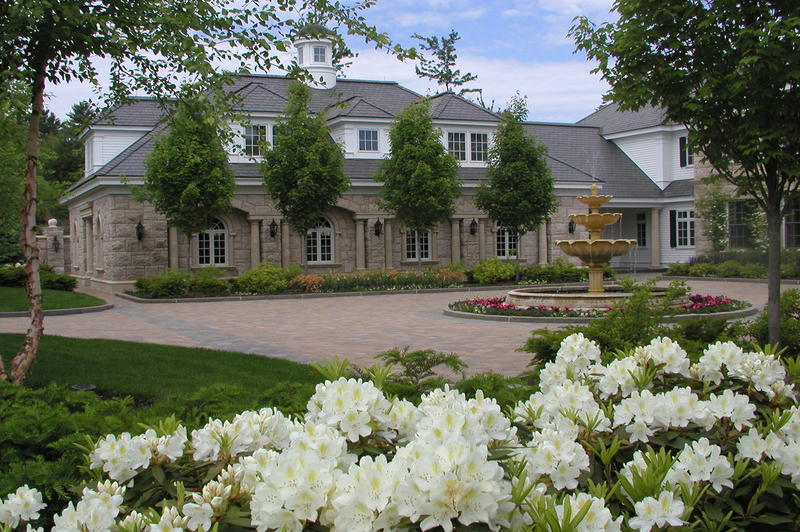 For three decades we have crafted award-winning stonework on behalf of exacting homeowners, architects and builders. Our passion for achieving your vision, regardless of the challenges, has earned Hillsgrove a reputation for craftsmanship and personal attention. Here amid centuries-old quarries in the Ossipee Mountains, we’ve gained deep expertise with cut granite, quarry stone, ledge and fieldstone. Our artisans learned their masonry technique the time-tested way – passed down from hand to hand, without compromise. Michael works closely with clients to deliver solutions that exceed expectations while supporting overall project design. He also leads Hillsgrove’s commitment to modern, professional project administration. A Connecticut native, Michael is a graduate of Roger Williams University, one of America’s top five construction management programs. Jason has lived, breathed and bled stonework since the age of 17, making him the ideal developer and trainer of Hillsgrove’s dedicated group of craftsmen. He leads our team with a grit and personality that is perfectly suited for successful completion of physically demanding stonework projects. Jason’s experience and attention to all the details of project design and site operation help ensure that our projects meet – and ultimately exceed – client expectations. Ben first learned his trade working alongside his father in England, then developed his love of masonry even further after coming to the United States. He is responsible for all our brick and block work and is a master at chimney and fireplace construction, achieving beauty and functionality while complying with all local codes. Ben’s skills as a site foreman and mason have been vital to the completion of many of our largest estate projects, while his work ethic and distinctive English personality help make Hillsgrove’s team a unique resource in the region. The backbone of our company since its founding, Jenny provides the smooth, efficient administration that allows us to serve clients with on-time, on-budget professionalism. Her organization and attention to detail keep our daily operations moving forward to your satisfaction.